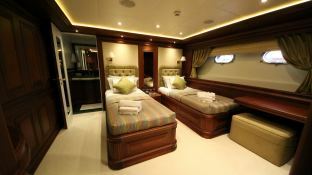 M&M is a 49m motor-yacht, built in 2012 by Bilgin Yachts. 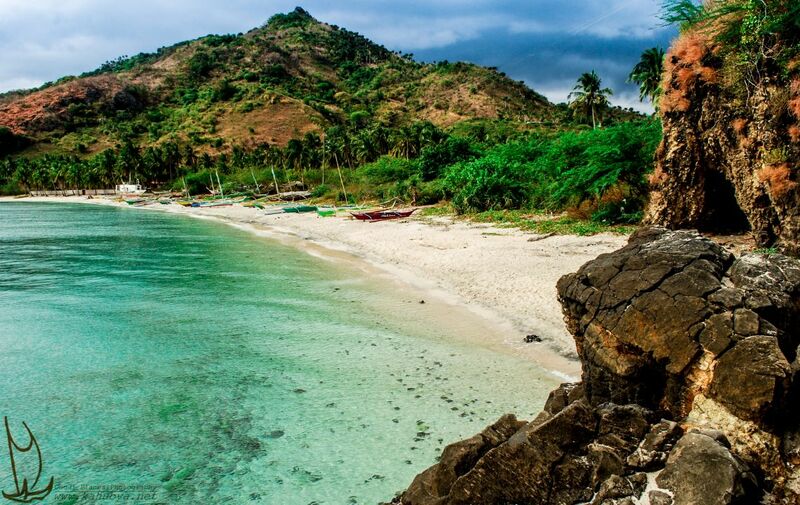 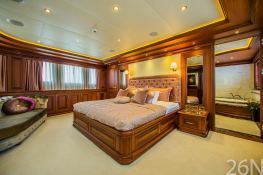 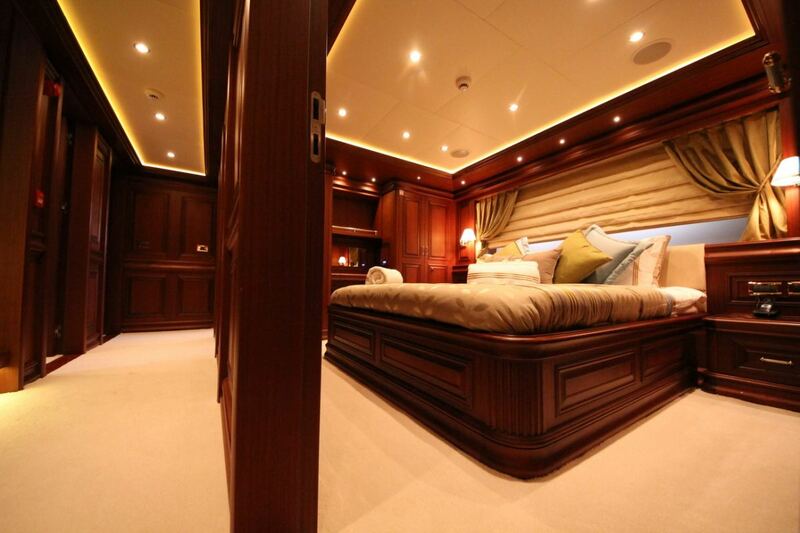 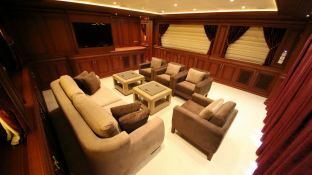 She can accommodate up to 12 guests in 6 luxury cabins, serviced by a crew of 7. 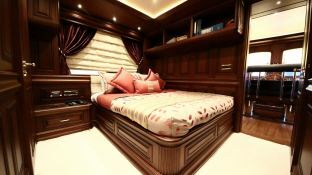 With her timeless style, plush furnishings, and comfortable and spacious lounge and dining spaces, M&M oozes quality and elegance. 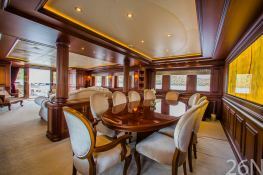 Timeless (formerly M&M), built in 2012 by Bilgin, is a fantastic 48.7M motoryacht which welcomes up to 12 guests on board with a crew of 8, and can reach a cruising speed of 13.0 knots thanks to its 2x707 hp engines. 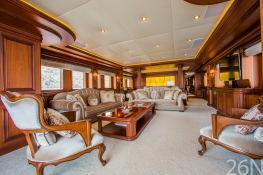 This Bilgin Yacht 49M is available for luxury charter around Corsica, French Riviera and Turkey. Timeless is equipped with air conditioning and also jetski, wakeboard, DVD and home cinema for a great luxury charter experience. 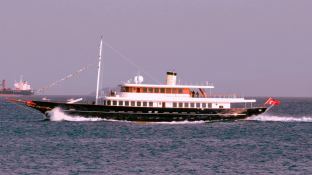 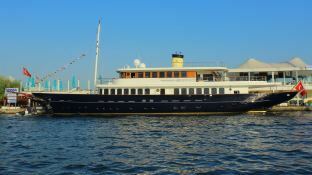 Timeless is available for yacht charter with a base price of 110 000 € (approximatly 124 053 $).